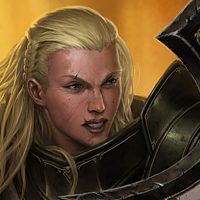 Forums General Discussion 2.0 PTR starting "soon"
normally, yes. this time feels different though. it could just be because i'm incredibly bored with WoW and have nothing else to do. like i said though, i'll probably be kicking myself when it does end up being months. It needs to be ready for march, assume 2 months in the PTR to work out bugs, ya it will probably be out in weeks. Just don't kid yourself its going up tomorrow. Do it blizz. 2.0 ptr gogogo! Yeah I'm bored of games too right now waiting for D3 ptr. Been playing a bit of Supreme Commander. Tried starting up Torchlight 2 but I find it just so boring. Maybe it's the class design. We're glad you're so excited to test out what's coming in Patch 2.0.1! I don't have a date to offer you for either the Closed Beta for Reaper of Souls (if you haven't opted-in yet, you can do so here), or the upcoming PTR for Patch 2.0.1, so you'll have to wait a little longer yet. But hang in there, because the weeks and months ahead are going to be awesome. 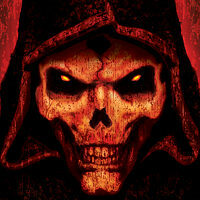 I don't have a date to offer you for either the Closed Beta for Reaper of Souls (if you haven't opted-in yet, you can do so [url="http://us.battle.net/d3/en/blog/11649795/friends-and-family-beta-test-underway-11-19-2013"]here[/url]), or the upcoming PTR for Patch 2.0.1, so you'll have to wait a little longer yet. But hang in there, because the weeks and months ahead are going to be awesome. Is a little longer less than soon or greater than soon? Blah, well now I'm less excited. My fault. I got my hopes up that it would actually be soon. Appreciate the communication though. "Soon" is a very, very wide word which can sum up to different meanings or perspective, though we/me and the rest of the community are not giving up on our hopes on this one. I hope this would be tomorrow, regular maintenance is usually done every tuesday. I just wish they would stop saying "soon". Just say "Honestly, we have no idea when, we've got a lot of ! @#$ to do first." or "We're aiming for the 3rd week in December, but don't quote us because it very well might be delayed. We've got a lot of %^-* to do and holidays too!" Btw I'm not saying it's impossible for them to have a PTR out by end of year, but since they've already met their first goal of beta out, the likely next step would be a closed beta for the rest of the non-family and friends by beginning of their grand winter break. Asking for a closed beta AND a 2.0.1 PTR in 2 weeks is almost completely illogical. Don't see it happening but not saying it's impossible. We want to implement a lot of the new systems and features in a pre-expansion patch for free. That should include Paragon 2.0, Loot 2.0, Loot Runs, and Nephalem Trials. For now, you'll need to purchase the expansion to play as the Crusader, explore Act V, unlock the Mystic, and level up to 70. These details may change as development moves along, but we want some of the core gameplay improvements to be available for everyone. Can you shed some insight on to why the PTR patch is no longer coming with the new version of "loot runs" (adventure mode). I know you didnt write that, but maybe you could ask Grimiku? 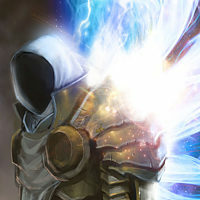 This patch will feature updates including Paragon 2.0, Loot 2.0, our new difficulty system, the addition of Clans and Communities, as well as balancing and tuning for all five Diablo III classes. "We're aiming for the 3rd week in December, but don't quote us because it very well might be delayed. We've got a lot of %^-* to do and holidays too!" 3rd week = their break time, no *new* development would happen in that time. New is the keyword, if they can crank out PTR before the 3rd week than it's a possibility but it's entirely too slim to the point of illogical that this can happen.